Bielefeld is located in the Ostwestfalen-Lippe Region in the north-east of the state of North-Rhine Westphalia. The city has always been an industrial centre; in the 1800s it was known for its spinning mill and by the 1900s, when the first railway station was built, the city began to expand and many cultural centres were opened. It is currently home to many major companies, such as Dr. Oetker, Möller Group and Seidensticker, as well as a large university and many museums and concert halls. 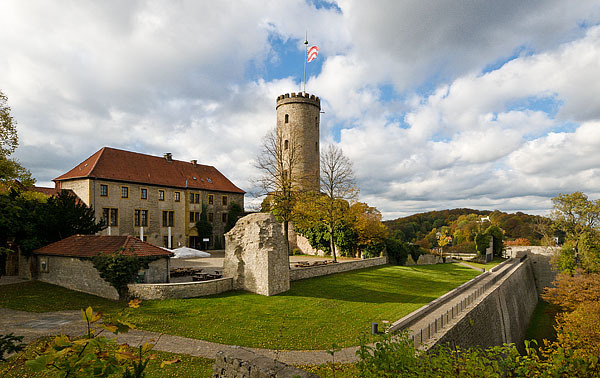 Sparrenburg (Sparrenberg Castle) – This castle is a restored fortress in the heart of Bielefeld. It was originally built sometime before 1250 and guarded the Bielefeld Pass over the Teutoburg Forest (it is guessed to have been built in 1200, although its first mention in historical records was in 1256). In addition to this, it acted as the ruling seat of the counts of Ravensberg and as protection for the city. The castle was heavily damaged in World War II, however, has been restored since and in 2014 a new visitor’s centre was opened. The castle can be visited all year-round free of charge, however, the underground parts are only available for viewing from April until October. In addition to this, the castle transforms into the backdrop for a large historical festival for three days in July, where visitors are able to enjoy a journey back into the middle ages. Heimat-Tierpark Olderdissen – The Heimat-Tierpark in Bielefeld is the city’s zoo – a popular destination for all visitors to the city. The zoo boasts over 90 species with more than 450 individuals and, in addition to being open all year-round, it is open 24 hours a day and is completely free! Whilst visitors are able to view many exotic species, the zoo also offers an open area with wild animals found in Germany, such as deer, where guests can even walk through the exhibit. 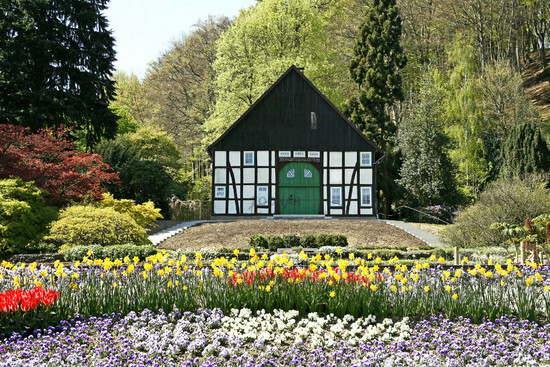 Botanischer Garden (Botanical Garden) – The botanical garden in Bielefeld is a municipal garden located on the southeast edge of the city. The garden was originally established in 1912 on 1ha, however, by 1925 it had grown to over 2.5ha containing more than 500 plant species and by 1952 the garden boasted over 3,000 species! Today, the garden is home to over 2,500 species of plants with highlights including collections of rhododendrons (evergreens) and azaleas (flowering shrubs). Other collections include an alpine garden, a medicinal and herb garden, heather garden and a timber house dating back to 1823. For the past 21 years there has been an ongoing German joke in the internet claiming that the city of Bielefeld doesn’t exist. This makes it one of the longest living pranks on the internet! In May 1994 a rumour was released simply stating that the city doesn’t exist. 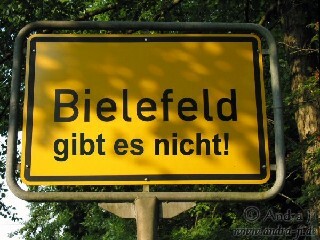 Do you know anyone who has ever been to Bielefeld? If the answer to all three questions was ‘no’ then it was claimed that the theory was true. If the answer to the third question was a ‘yes’ it was claimed that the person was a part of the conspiracy. Whilst no one is entirely sure how this theory started, the city started a campaign in 1999 claiming that ‘Bielefeld gibt es doch!’ (‘Bielefeld does exist’), however, the city is still most famously known for not existing.